100% Kiwi As! Authentically handcrafted in Canterbury, New Zealand by woodturner Mark Leech. Each piece is carefully created using recycled native New Zealand Silver Beech and Rimu woods. 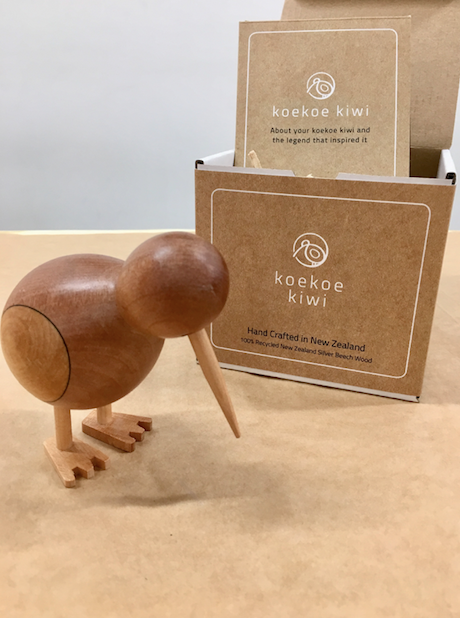 Each Koe Koe Kiwi comes with a personalised registration number. He's totally original, native and a true New Zealand icon. 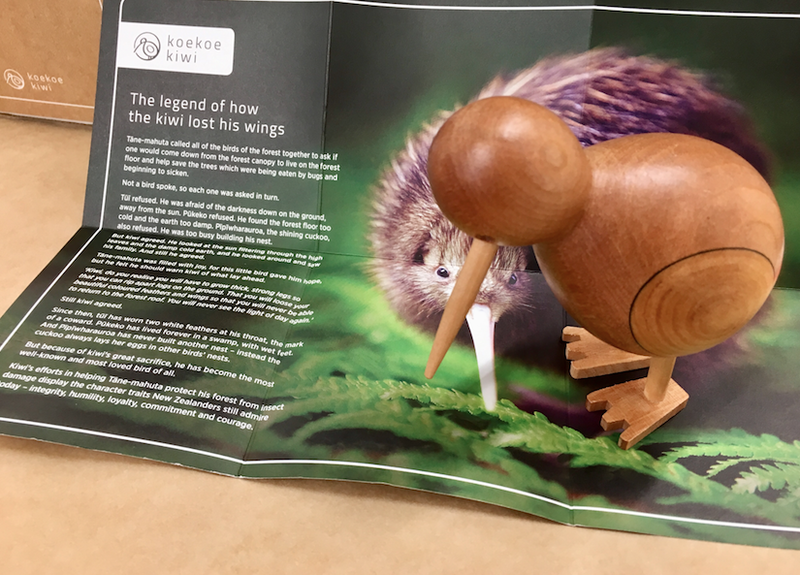 Includes a story card about the legend of how the kiwi lost his wings. Presented in a gift box with story card. Size: Box - 110 x 110 x 110mm. Kiwi -100mm high x 90mm length. Made to order. ETA 2 weeks. If you are working towards a particular date, leave us a note on checkout. Get yours underway today!